It’s the tenth day of our #HoHoDodo Christmas giveaway! From the Big Bump to the Big Day (or should that be the other way around?!!) 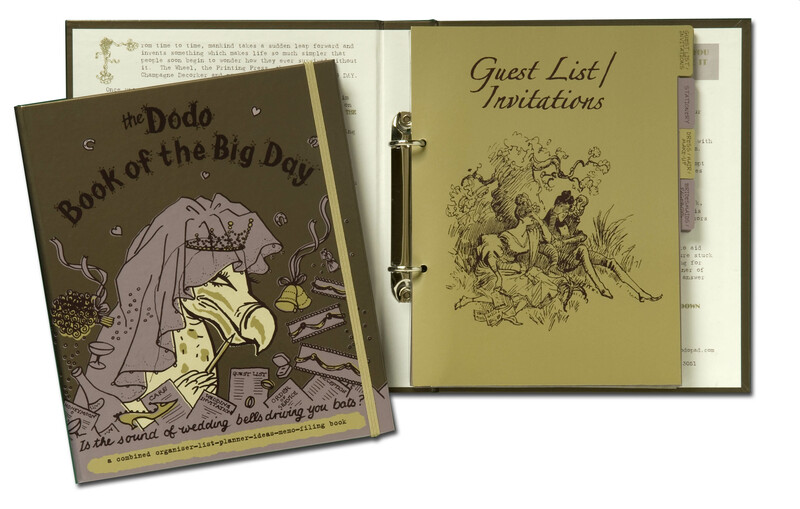 – today’s giveaway is a Dodo Book of the Big Day! This wedding organiser will keep even the most flustered Bridezilla in check, with areas to note gift lists, guest lists and more! To win this prize all you have to do is comment below, telling us in no more than 25 words: IF YOU COULD MARRY ANYONE AT ALL, FROM ANY PERIOD OF HISTORY (OR REALM OF LITERATURE…Mr Darcy! *Coughcough*), WHO WOULD IT BE AND WHY? We’ll pick our favourite and publish it over on our Facebook and Twitter pages tomorrow, so ‘Like’ and ‘Follow’ us (if you don’t already!) and keep your eyes open for the winner. Don’t forget to visit again tomorrow for a new question and another chance to win one of our favourite Dodo Pad products. Good Luck! 3. The daily prize (which will be posted as a status on Facebook, as well as here on the blog and on Twitter) is a pre-selected Dodo Pad product as posted on the day of the competition. There is no cash or alternative prize available. 5. Each daily competition closes at midnight that day. Entries received after this time will not be valid. Be sure to subscribe to follow-up comments so that if you win you will you know! Ryan Reynolds – shouldn’t really need to explain that one! Hmmm Harry potter would be able to magic an amazing wedding so I’ll say him!